There is not much that beats traditional Italian. 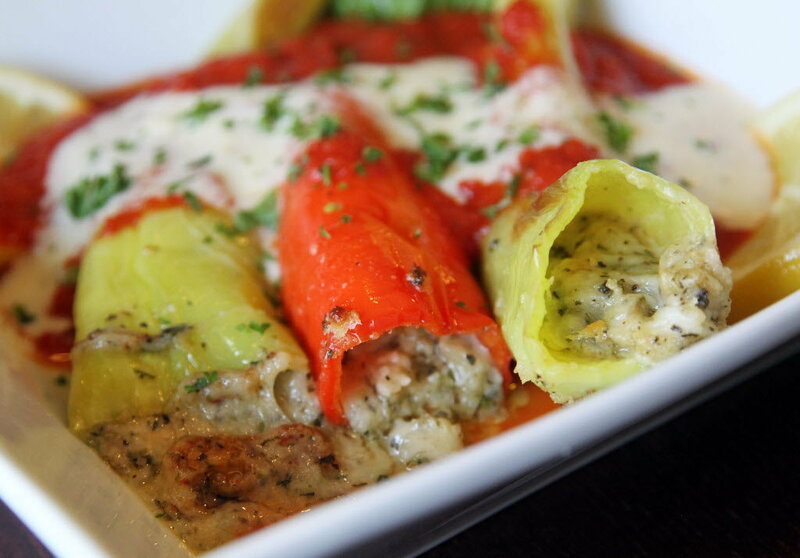 Trattoria on the Hill manages to build upon on traditional recipes and make them even better. This makes them very unique and explains why they are one of the best stops in Cleveland. white wine and butter sauce), Gnocchi Al Burro (Pasta dumplings tossed with tomato basil, a cream sauce with butter and romano cheese), and Linguine Aglio Olio (Linguine tossed in olive oil and fresh sautéed garlic. Topped with fresh steamed mussels). The menu is very seafood heavy — mussels, clams, shrimp and salmon all make appearances on the menu, sometimes even more than once! If seafood isn’t your thing no need to fear — they also have baby back ribs, steaks, eggplant, too! Another highlight from the menu is the pizza. They offer eight specialty pizzas with all kinds of different toppings. Everything from barbeque chicken to artichokes. If you are not the most adventurous eater, they have a great margherita pizza that will be sure to please any Plain Jane. On to the drink menu they offer beers, cocktails (including frosted ones! ), and martinis. You may not expect an Italian restaurant to have a large beer selection, but Trattoria on the Hill does! You have your pick from bottled beers, beers on draft, and Italian beers. They say the secret is in the sauce. Well, now you can own the sauce. Trattoria makes their Tomato Basil and Italian Bruschetta sauces available online for just $5 so you can make your Italian creations and still have their great taste and stay on budget. If you ever thought that Trattoria on the Hill’s food would be perfect for one of your parties, you can make that happen! They offer private party packages including multiple rooms to choose from in their beautiful restaurant. Their “Full Meal Packages” include fresh bread and butter, salads, dinner entree of your choosing, Italian Spumoni, and coffee and hot tea for beverages. Prices vary based on lunch and dinner and entree choice. Like most of the places in Little Italy, this will make a great romantic date spot due to it’s beautiful interior and classic feel. Despite this, it is very family-friendly especially for lunch. Customers have raved about the service being quick and friendly and the food be tasty and affordable. They are open seven days a week, but have different hours for different days: Mon. 11:30am – 8:30pm, Tues-Thurs. 11:30am – 9pm, Fri-Sat. 11:30am – 10pm, and Sun. 11:30am – 8:30pm. Stop in at 2207 Mayfield Rd, Cleveland, OH 44106. Call the restaurant at: (216) 421-2700 or visit their website.